Autumn forest. Sunny autumn nature. 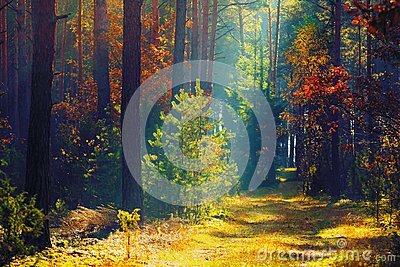 Path in colorful forest with sun rays. Fall landscape. Vivid background.